I currently live in the Ozark Mountains and while the area is gorgeous, the rocky soil is a gardening nightmare. It is almost impossible to dig in soil that is laden with stones, and I am in the process of building raised beds all around my yard. The good news, however, is that bulbs are not planted deeply, and you can create a bulb garden without going to the trouble and expense of building wooden boxes and filling them with an abundance of topsoil. For years, I have placed newspaper on the bottom level of my garden beds. When I lived in Mississippi, I used newspaper to help control weeds and grass and also to help amend the clay in the soil. In New Jersey, I used newspaper to control weeds and grass and to amend the sand in the soil. Now that I am in the Ozarks, I am using newspaper to control weeds and grass and to begin to create soil on top of the rocky sub-structure. I’ll use newspapers as the bottom layer in my raised beds, and I’ll put at least 8″ – 10″ of topsoil on top of the newspapers to fill the raised bed. Where I am planting bulbs, however, I only add 3″ or 4″ of topsoil above the newspaper. Step 1: Cover the ground with a layer of newspaper that is several sheets thick. Step 2: Add about 2″ of topsoil. Step 3: Sort the bulbs according to size, color, and type. I am in the process of planting an entire yard, and I set out some random mixes of bulbs. For the most part, I have no idea what exactly is included in these bags that I bought at Aldis. Allium Drumsticks grow to be about 20″ – 28″ tall, but their little seedheads are only about 1″ in diameter. They bloom in June. Scilla Sibericas only grow to be about 4″ – 6″ They should be planted toward the front of the bed. Muscari armeniacum or grape hyacinths grow to be about 6″ – 8″ tall. Tulip Miss Elegance grows to be about 16″ tall. 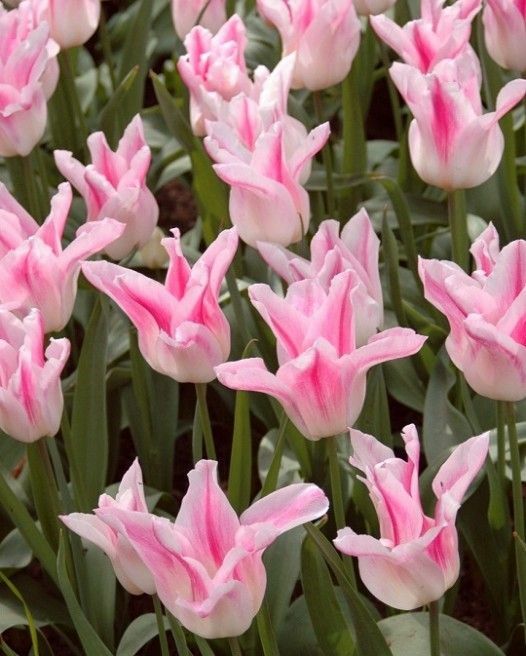 Tulip Candy Prince grows to be 12″ – 18″ tall. Step 4: Place bulbs into the dirt. Put the rounded side of the bulbs down and the pointed tip upward. Step 4: Because fall is also a good time to set out pansies, I interspersed some pansy plants with the bulbs. This added more soil, and because the pansies have established roots, they will help keep the bulbs in place, until they begin to grow. Step 5: I covered the entire bed with another couple of inches of dirt.